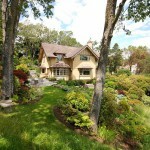 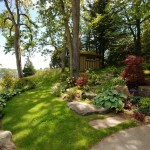 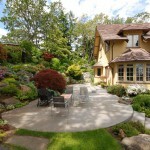 Historic House | Rusnak Gallant Ltd. 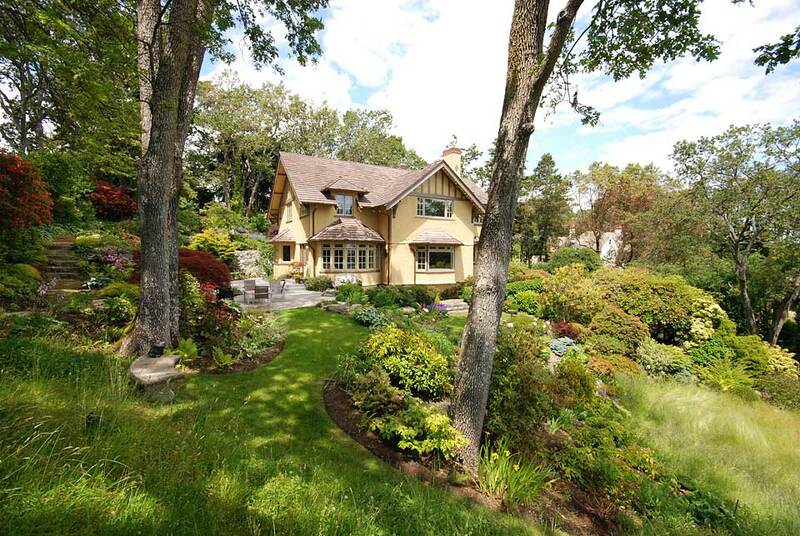 Historic House was originally built in the 1920’s for the surveyor of the Hudson Bay Company. 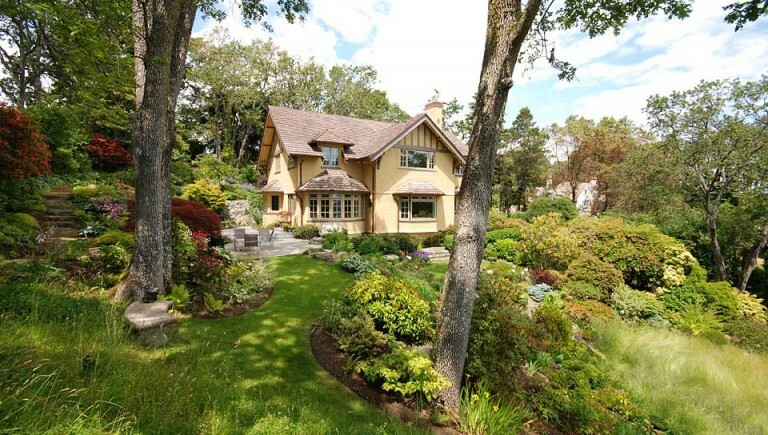 This was the first property carved out of the slopes of the Uplands Farm. 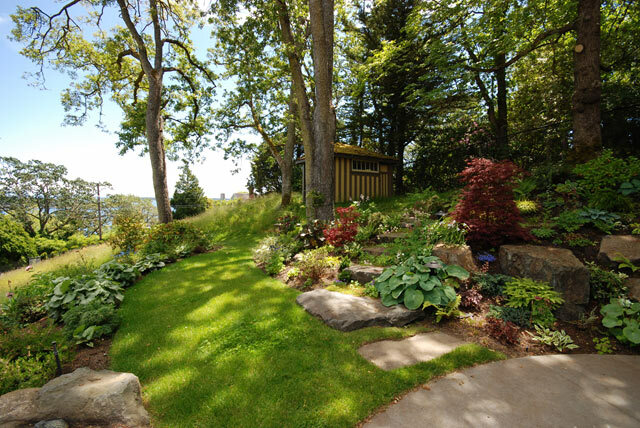 The site affords spectacular views eastward over Cadboro Bay, a native spring bulb meadow and a Garry Oak woodland that has matured since the house was constructed. 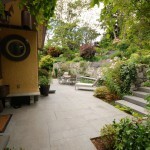 The original landscape, a narrow passageway around the house retained with a rubble wall, was reflective of the construction technology of the time, excavation using horses. 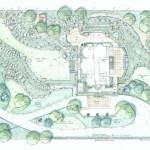 Our approach to the landscape design of the site was to create outdoor living spaces with strong visual and physical connections to the house. 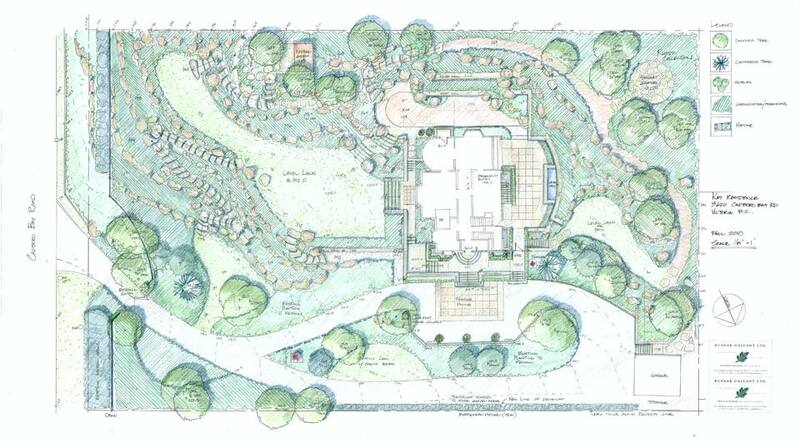 To achieve this we had a major excavation of the hillside on the south and west side of the house. 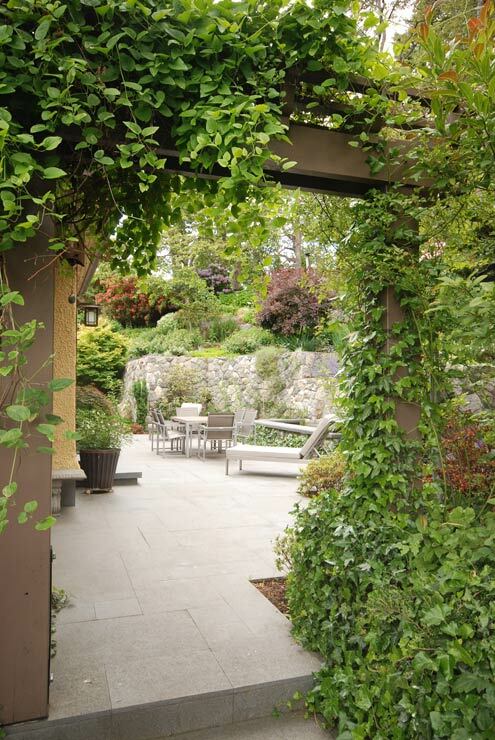 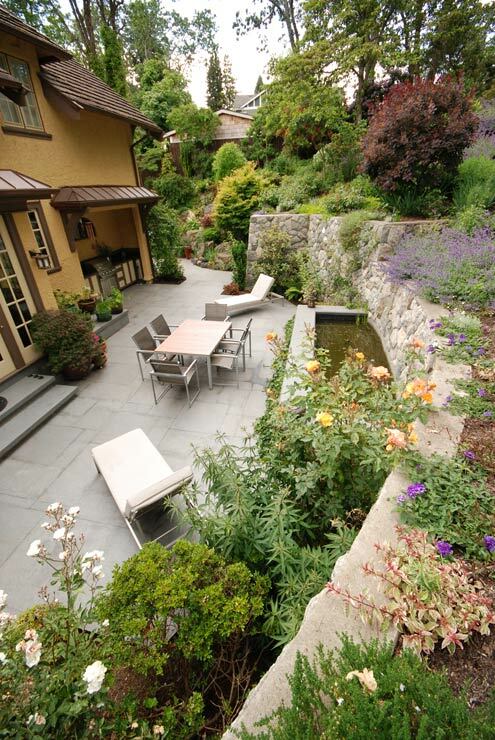 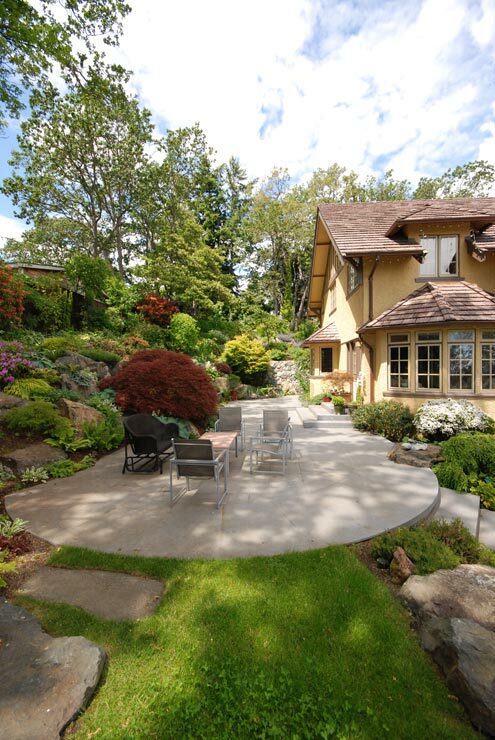 Engineered retaining walls were built to allow for large level patio areas off of the west facing kitchen and the south facing sitting room. 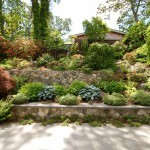 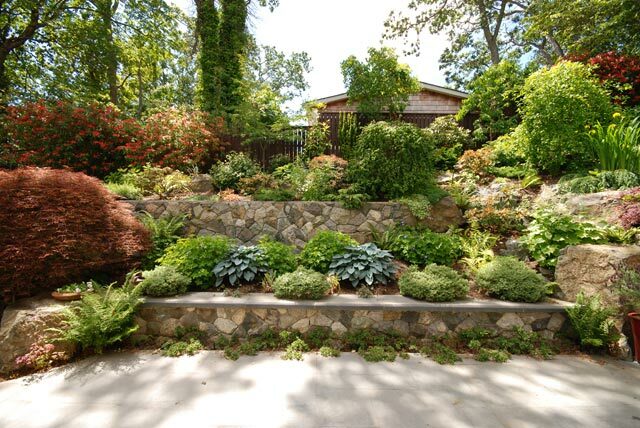 The mortared rock walls were designed to create a beautiful texture and backdrop for the new garden plantings and pond. 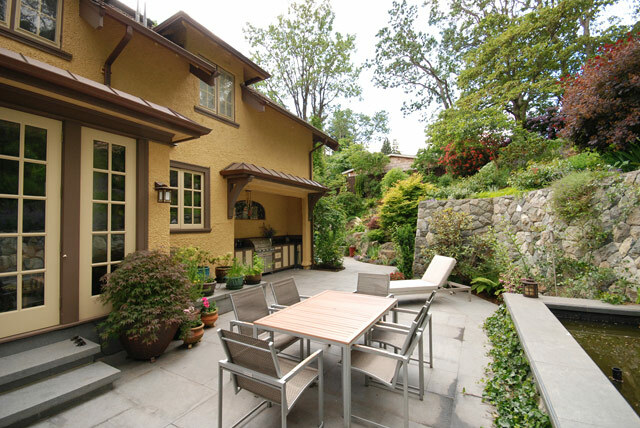 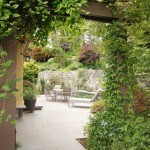 An existing covered alcove in the west facade of the house was transformed into an outdoor kitchen. 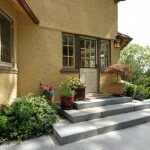 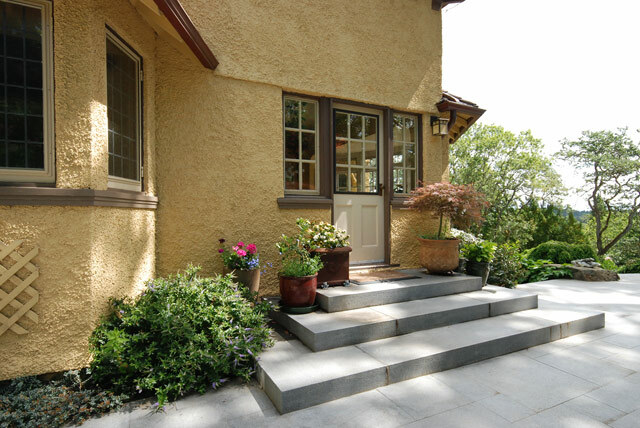 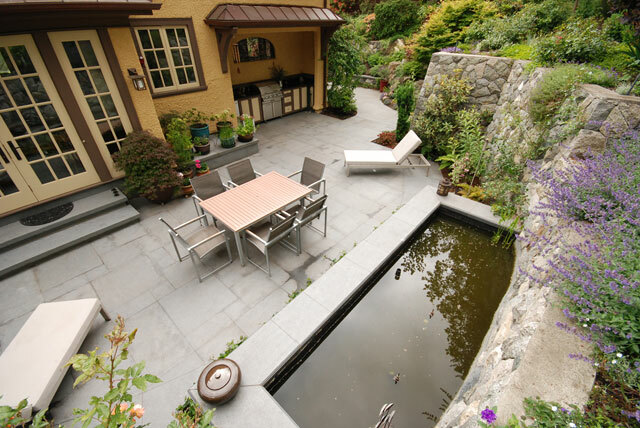 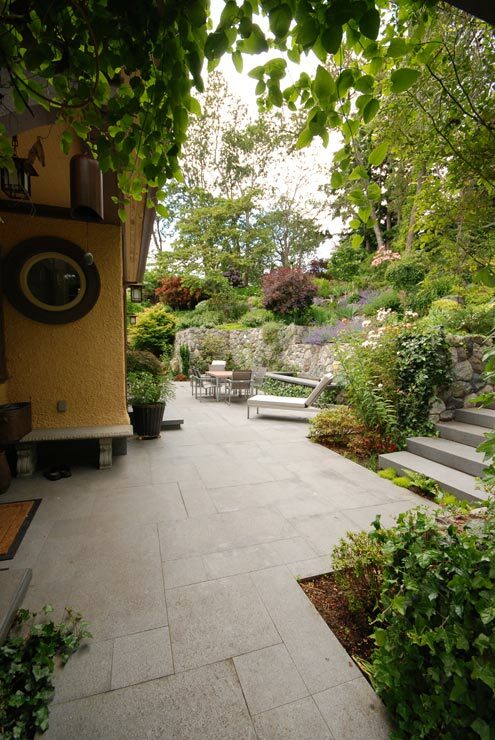 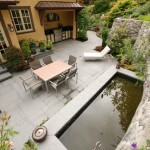 Charcoal grey granite was custom cut for the patio tiles, stair slabs and wall caps in the patio areas. 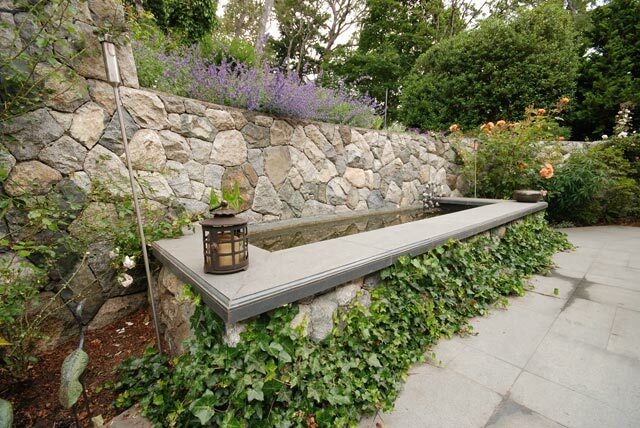 Local blast rock was used for the mortared rock walls. 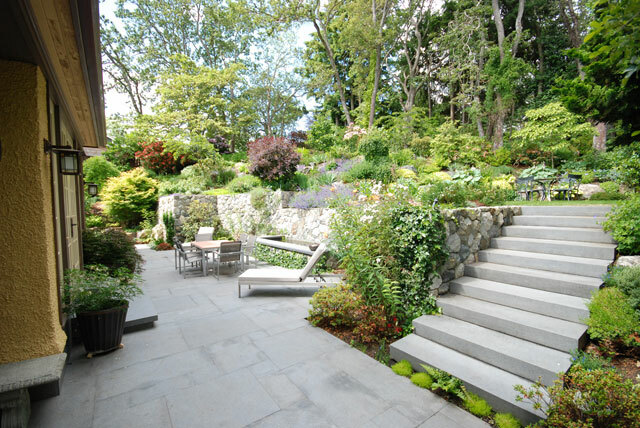 Large boulders were used to create rockeries to hold back the upper levels of the hillside and to create planting pockets for an extensive plant collection. 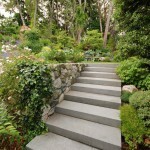 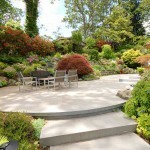 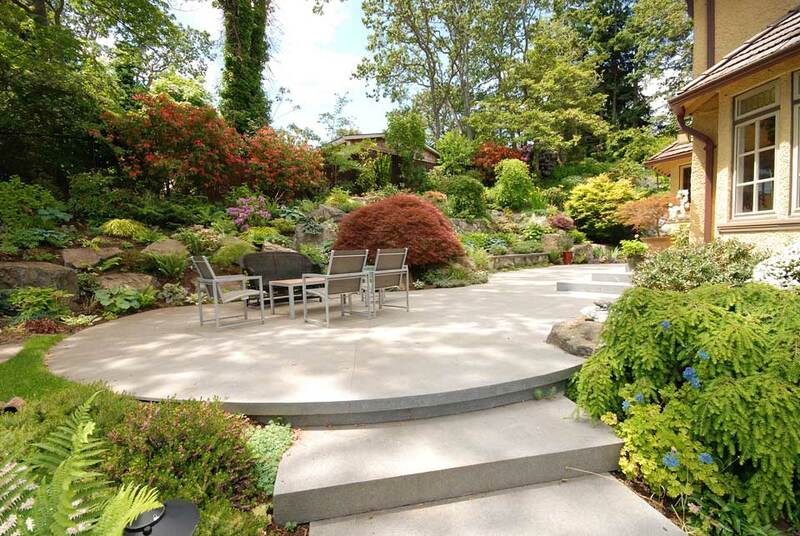 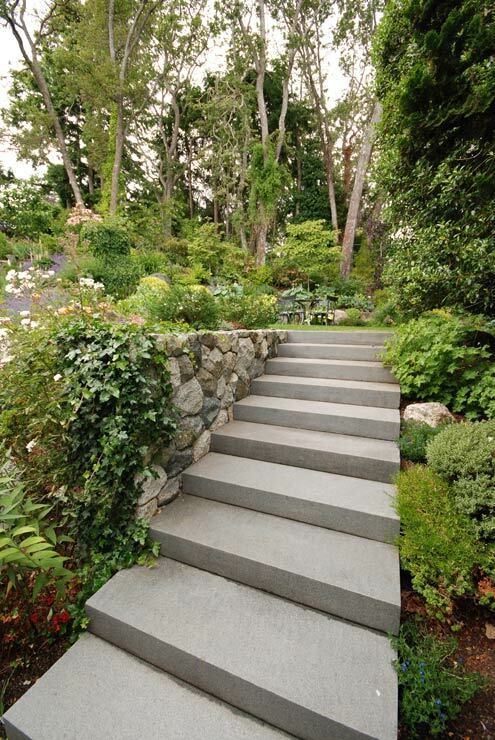 Large blast rock slabs were also used to create informal steps up into the more natural areas of the garden.